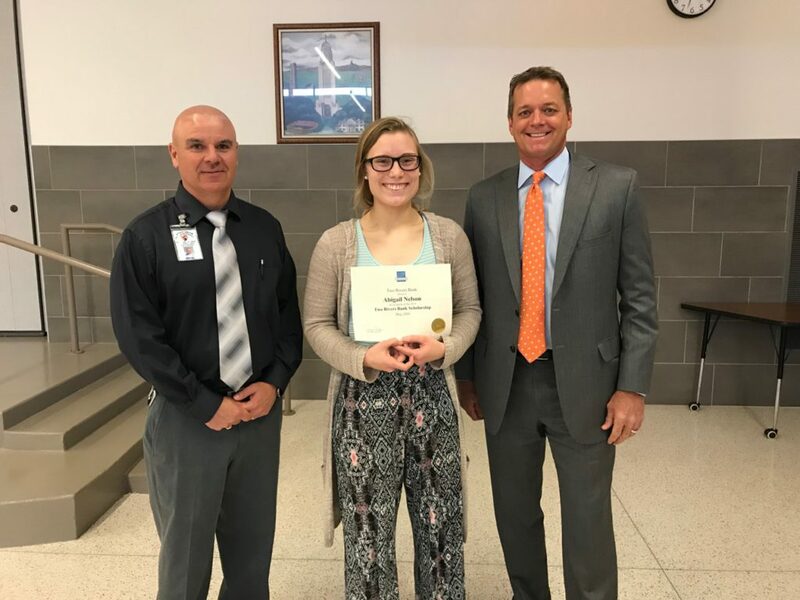 Congratulations to Abigail Nelson who is this year’s Two Rivers Bank Scholarship winner! 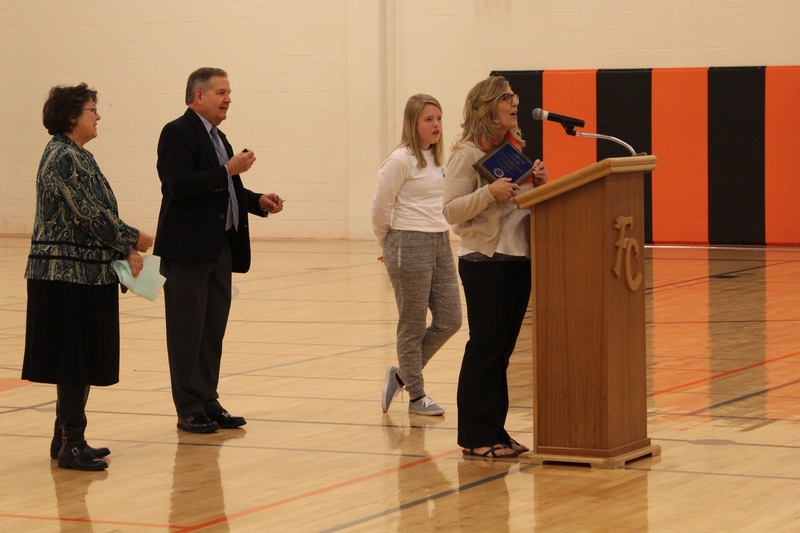 The requirements for the Twin Rivers Scholarship were to plan to attend a four-year college or university, have a minimum GPA of 3.25, and an ACT score of 20 or higher. 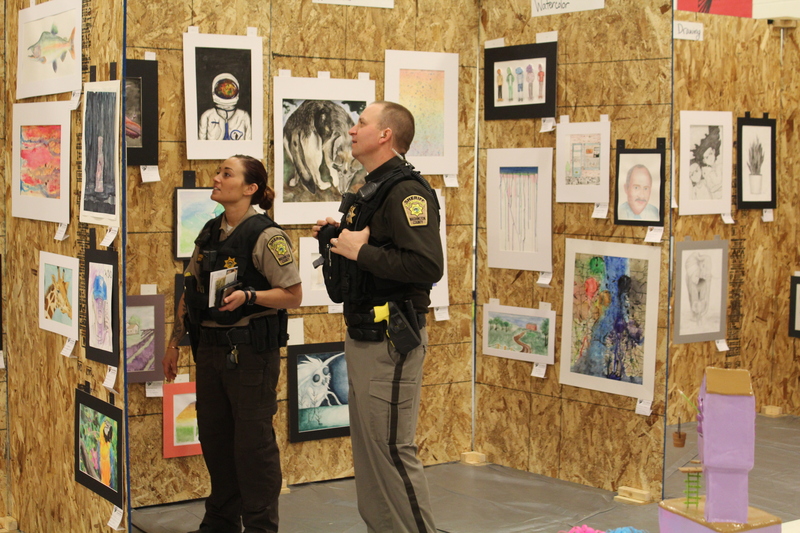 They were looking for someone who has academic achievement, positive citizenship, and leadership in school and community activities. 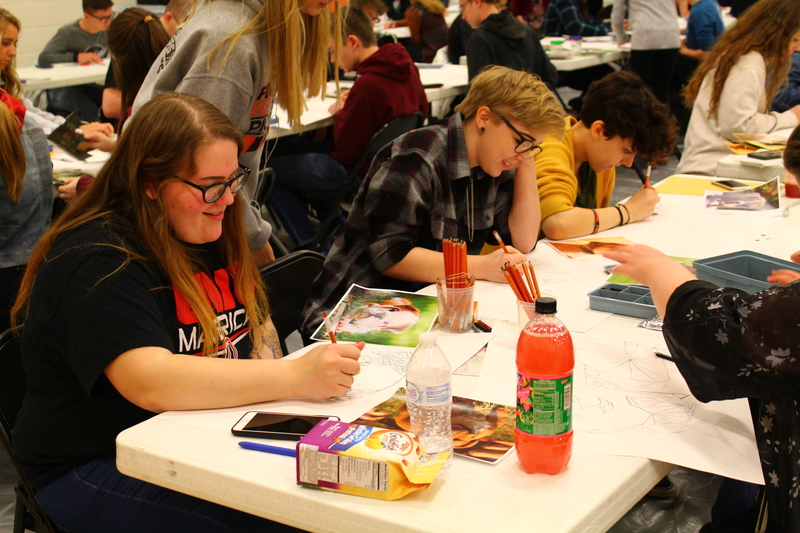 Abi is planning to attend Nebraska Wesleyan University in the fall with an undecided major. 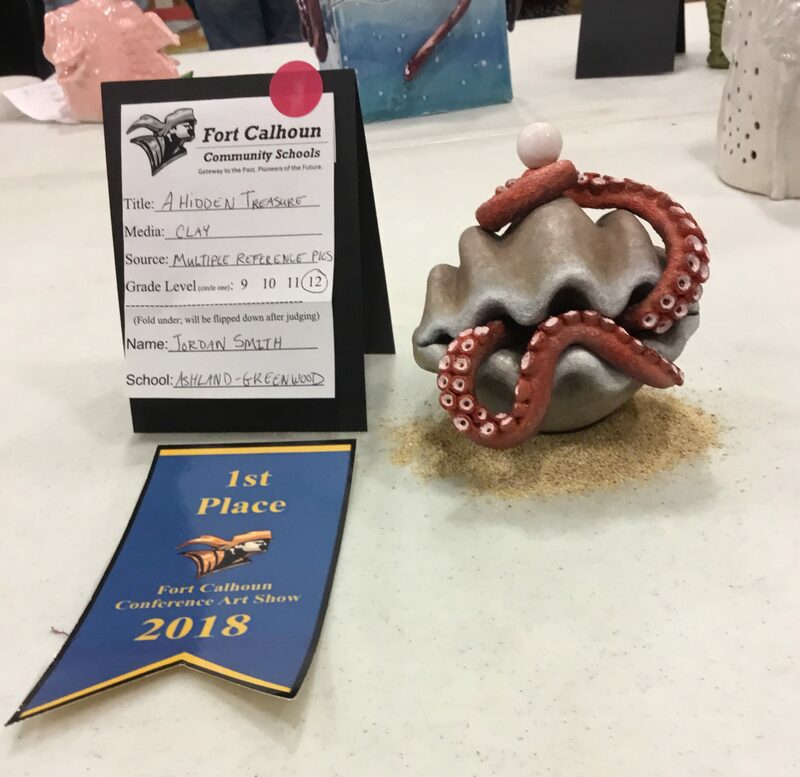 This entry was posted in Uncategorized on April 23, 2018 by Jennifer Gepson. 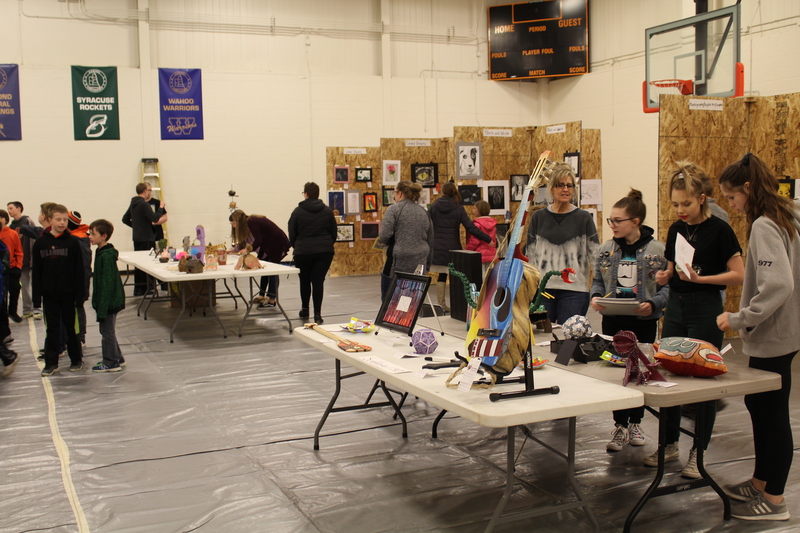 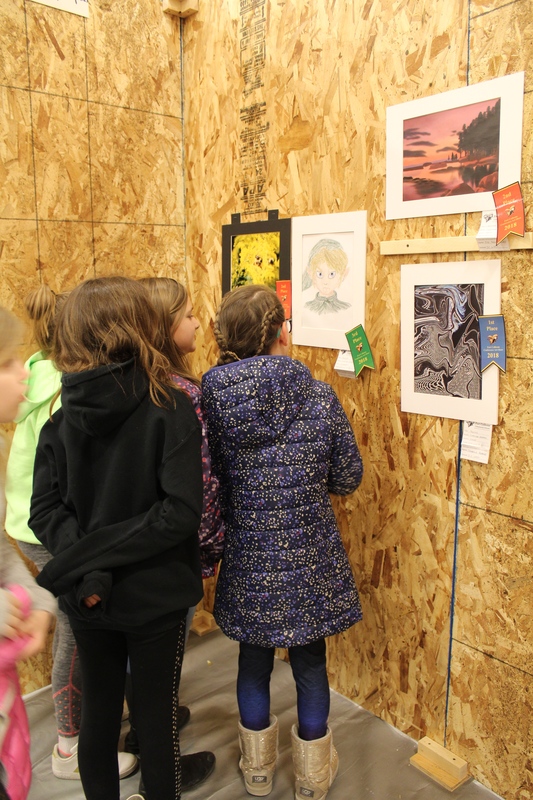 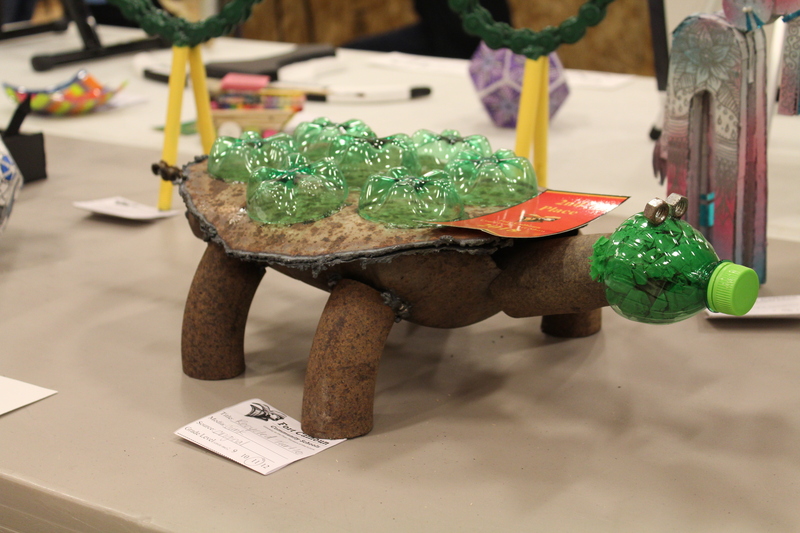 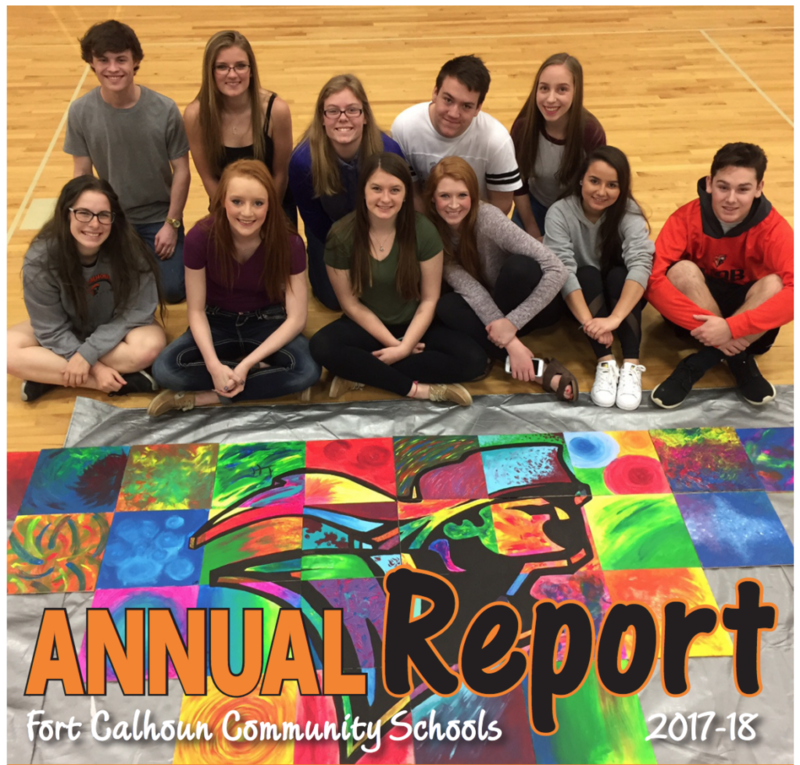 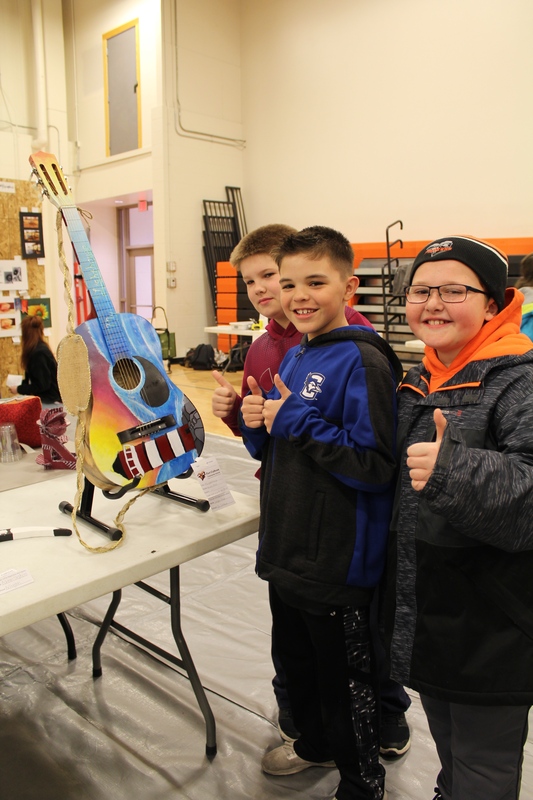 On Wednesday, April 18th Fort Calhoun hosted the conference art show. 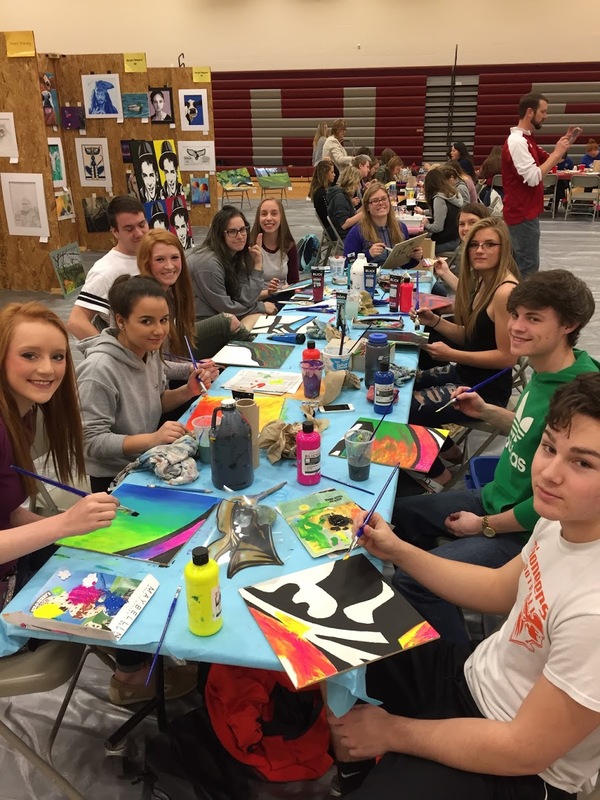 Students from Arlington, DC West, Syracuse, Ashland-Greenwood, Raymond Central, Platteview, and Fort Calhoun participated in the event. 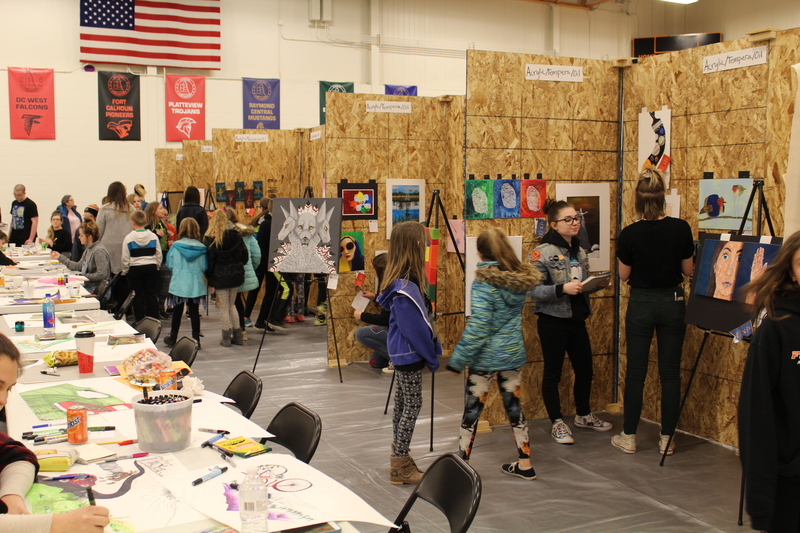 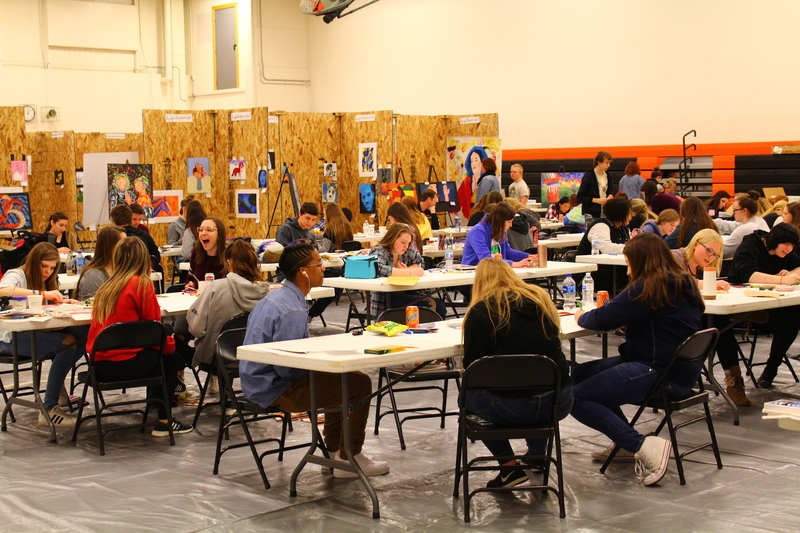 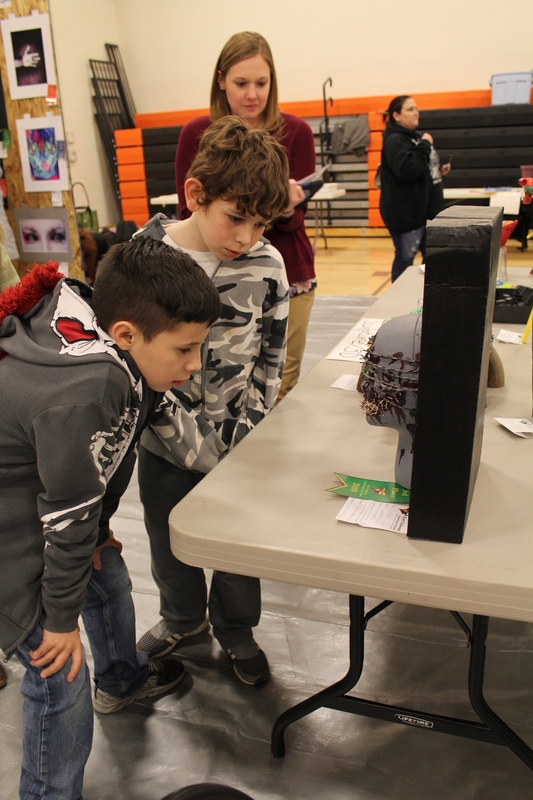 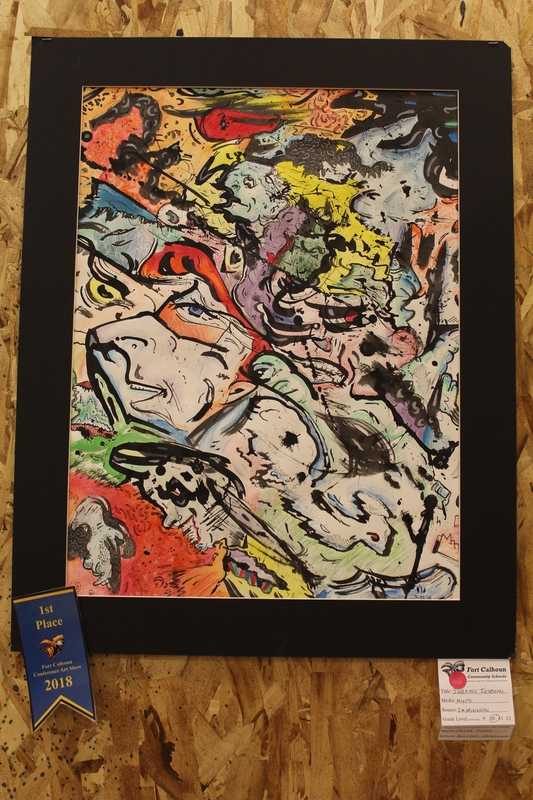 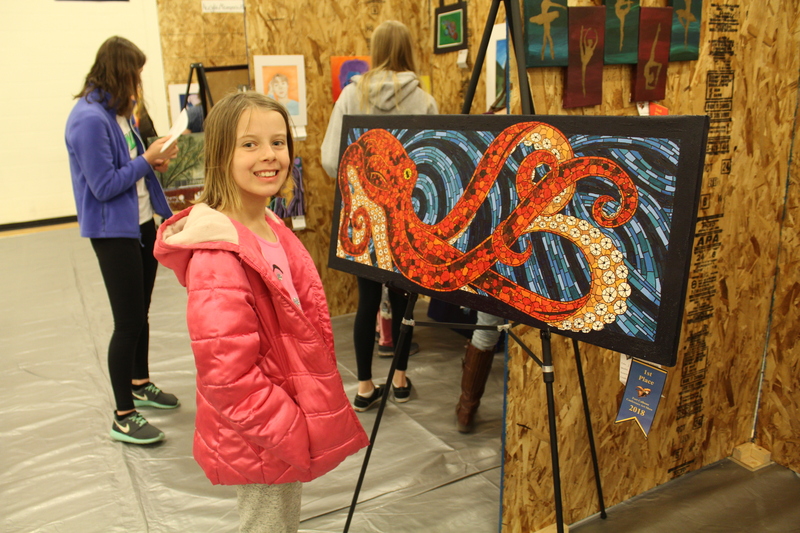 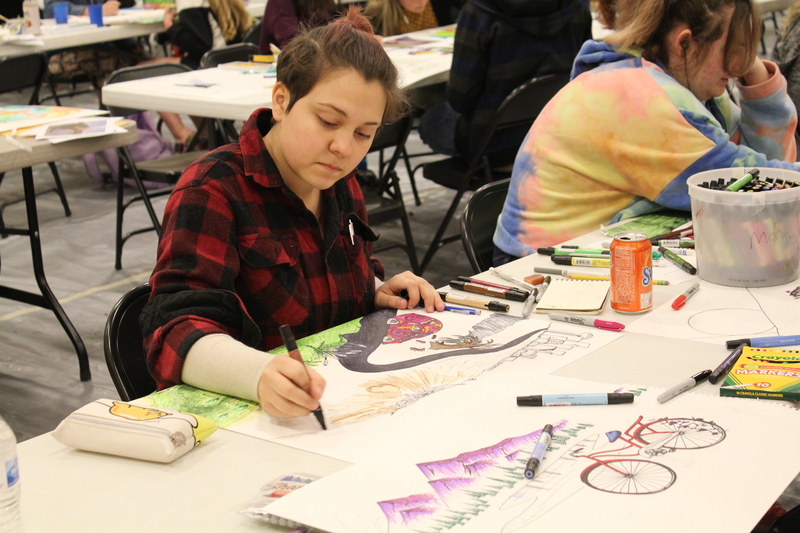 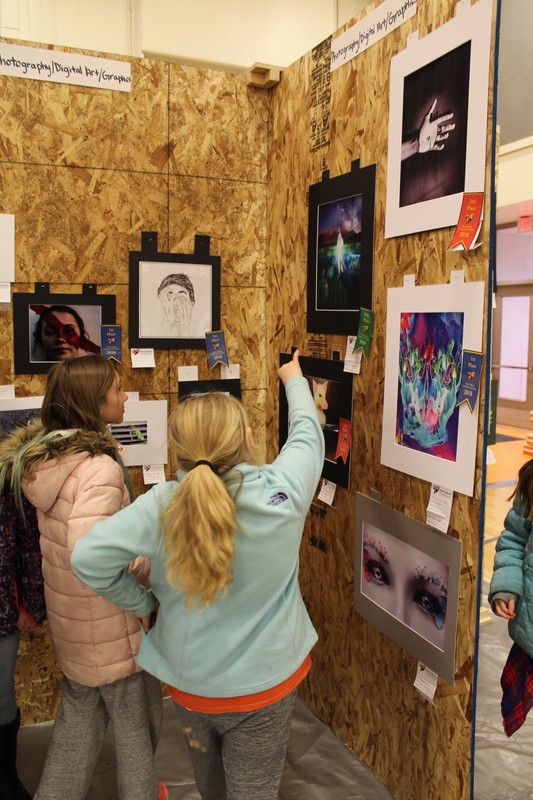 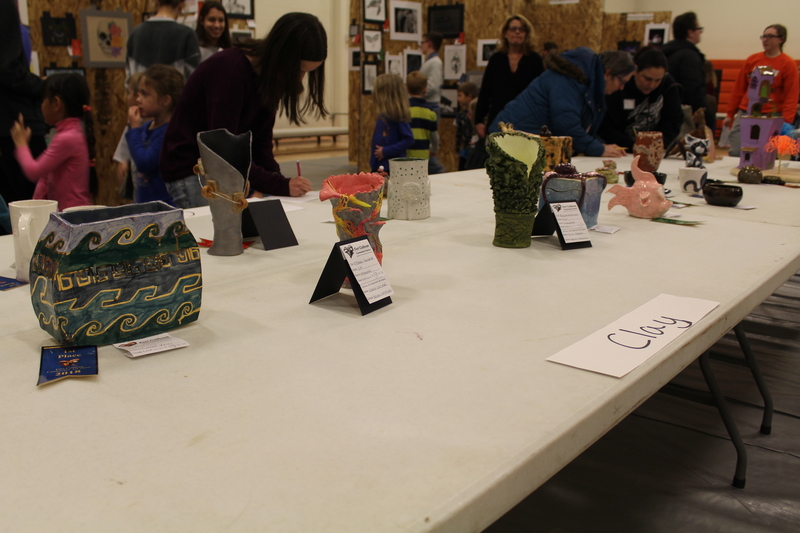 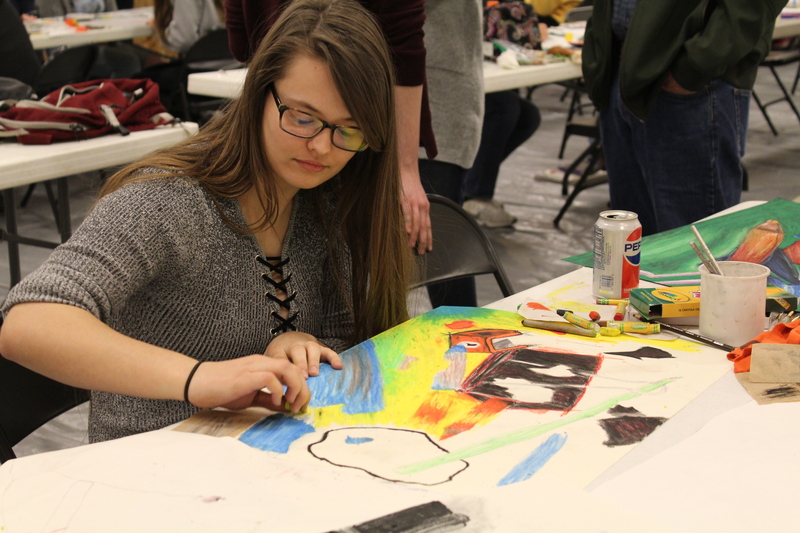 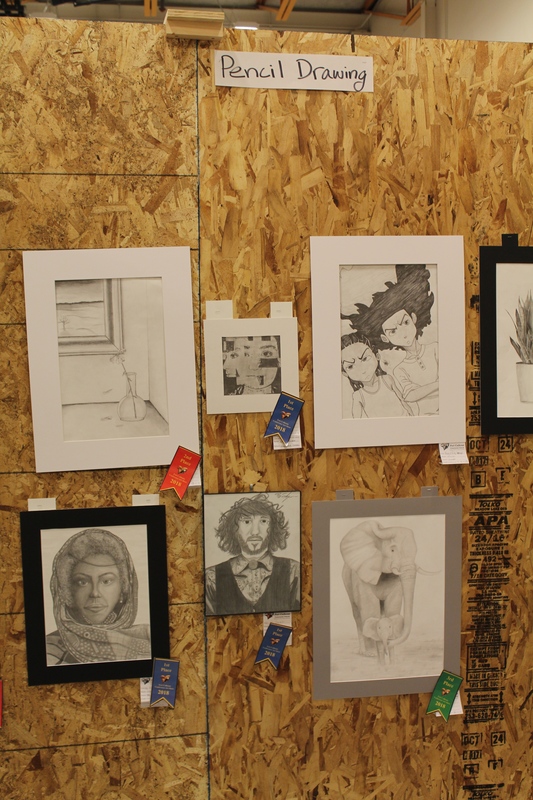 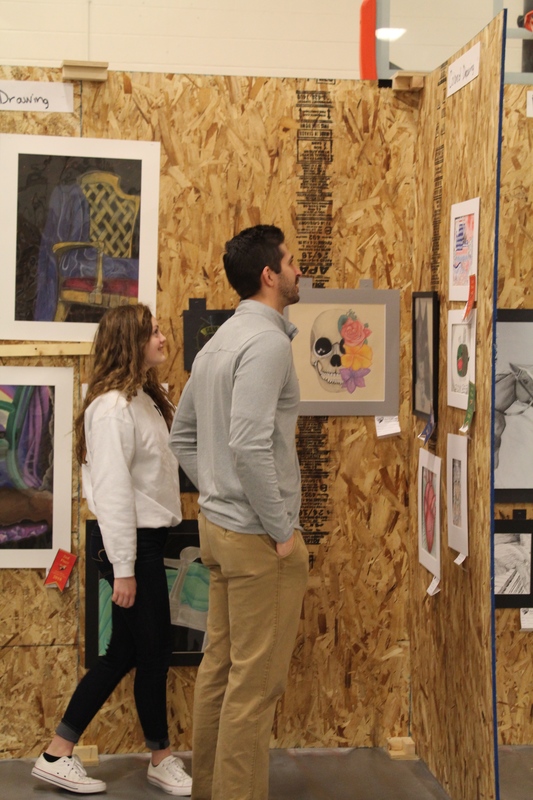 Students were led through an art activity and submitted artwork into a juried show. 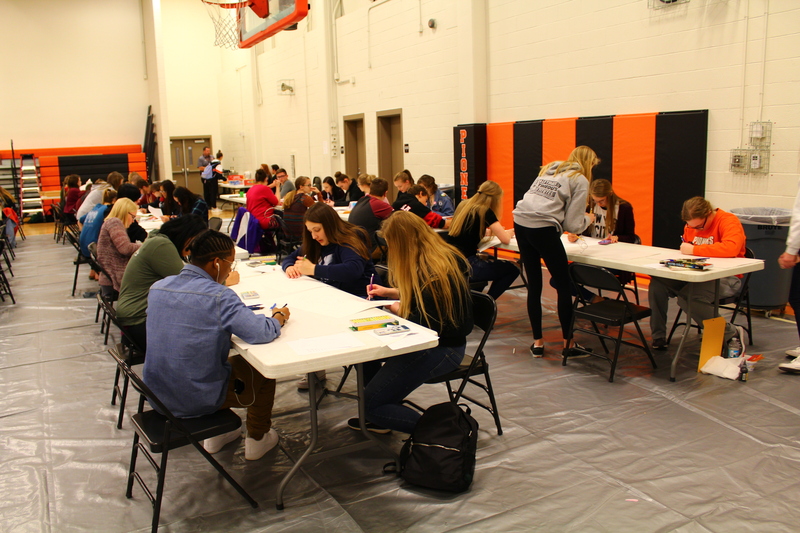 Thank you to everyone who helped organized and set up the event. 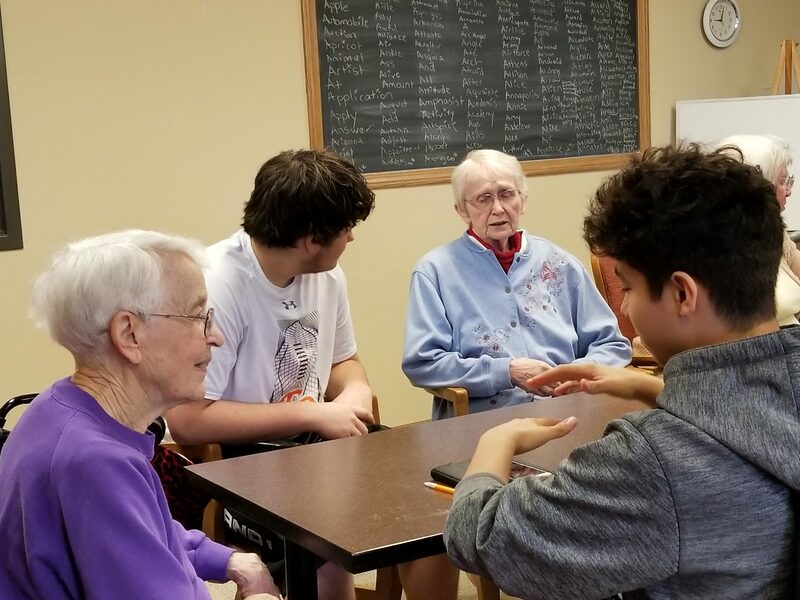 This entry was posted in Uncategorized on April 20, 2018 by Jennifer Gepson. 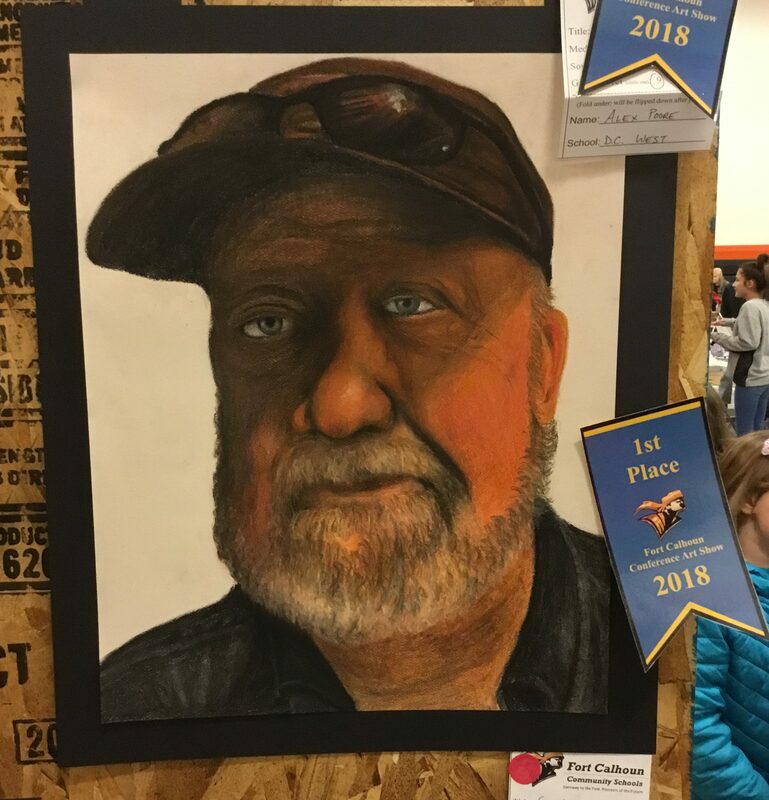 This entry was posted in Uncategorized on April 13, 2018 by Jennifer Gepson. 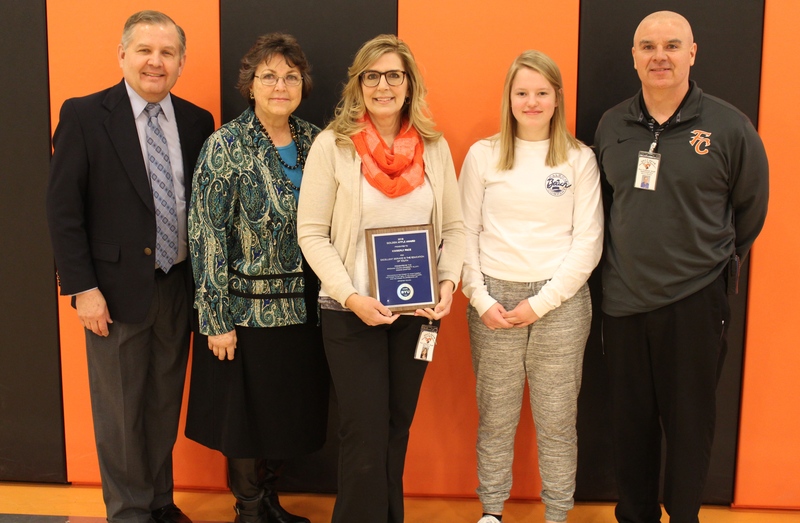 The Omaha Chapter of Brigham Young University Alumni has selected Kimberly Pace, as a 2018 “Golden Apple” Award recipient. 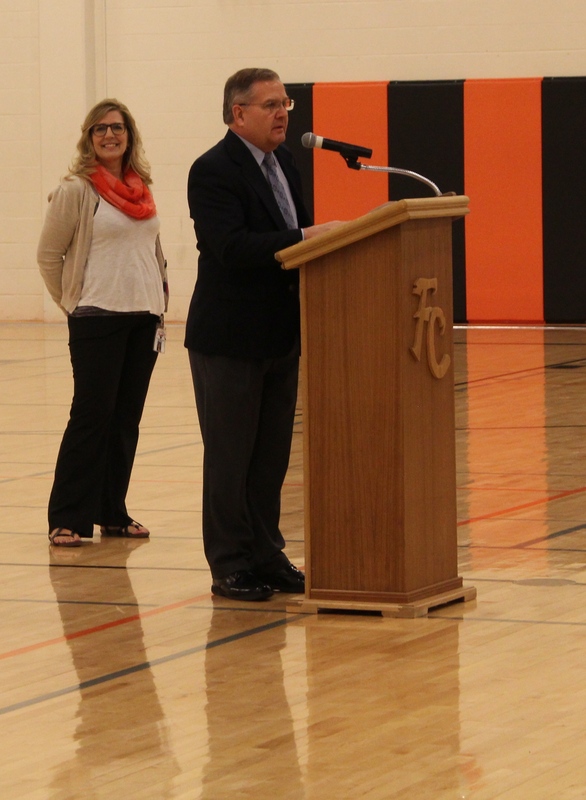 This student-nominated award is given annually to teachers who are inspiring, caring and academically demanding. 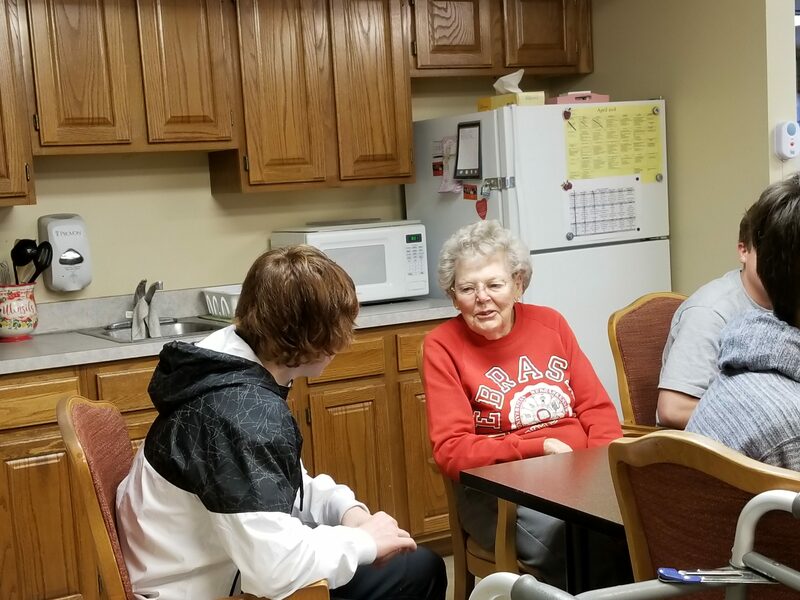 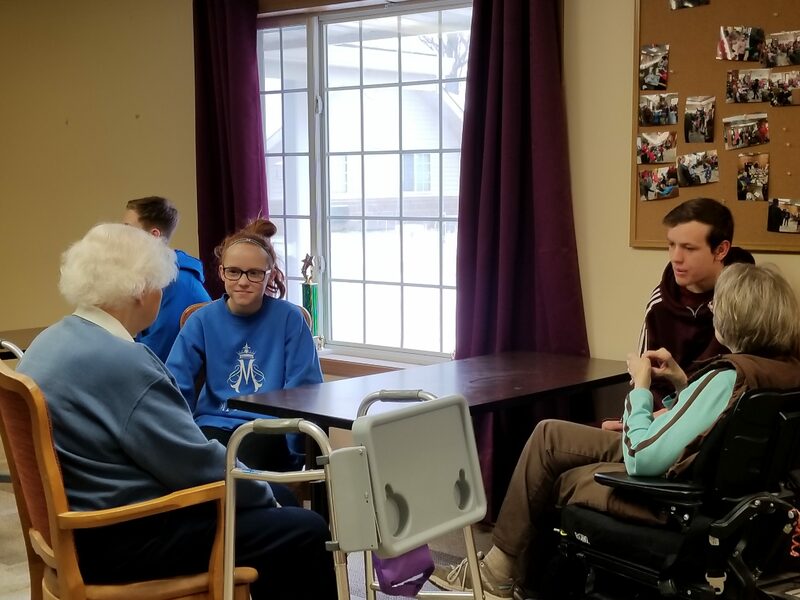 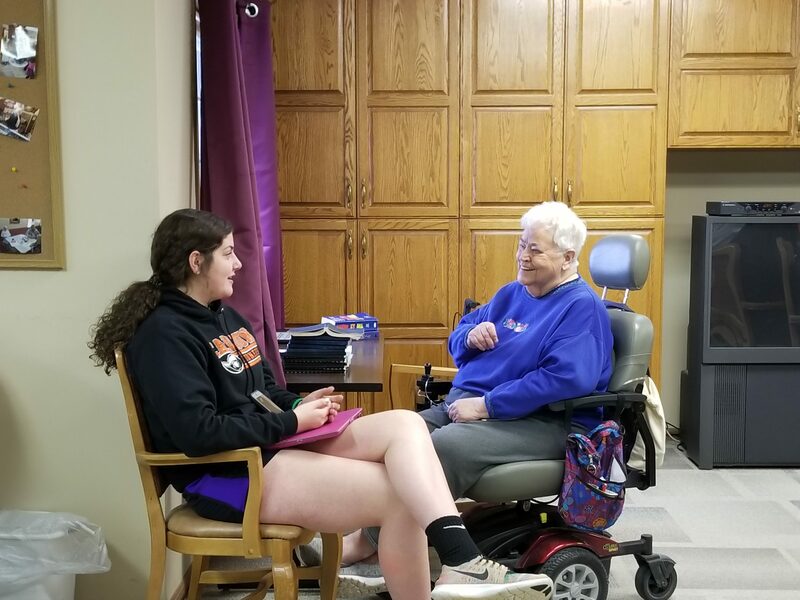 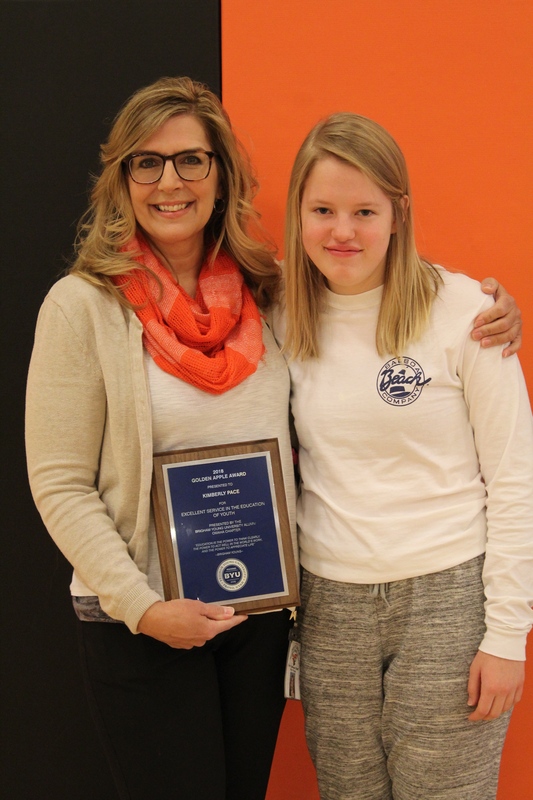 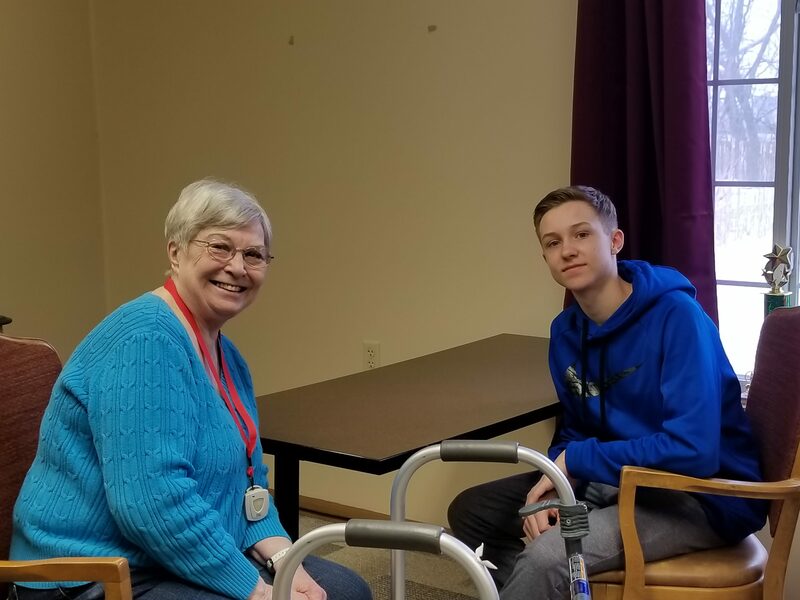 Mattie Finch, who nominated Ms. Pace, said in her essay, “She has given me a new look on school and life…I can’t really express the impact that Ms. Pace has made on me and my fellow classmates.” Thank you Kim, we are lucky to have you here in Fort Calhoun. 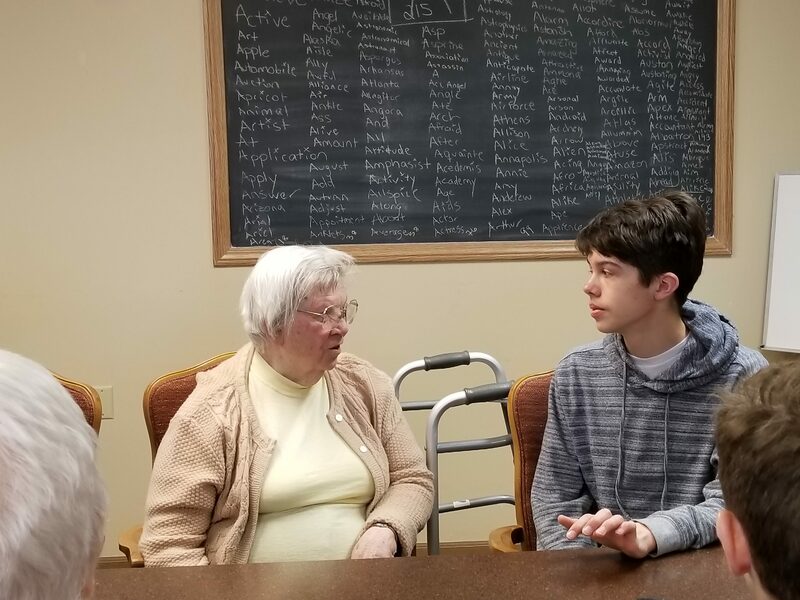 This entry was posted in Uncategorized on April 10, 2018 by Jennifer Gepson. 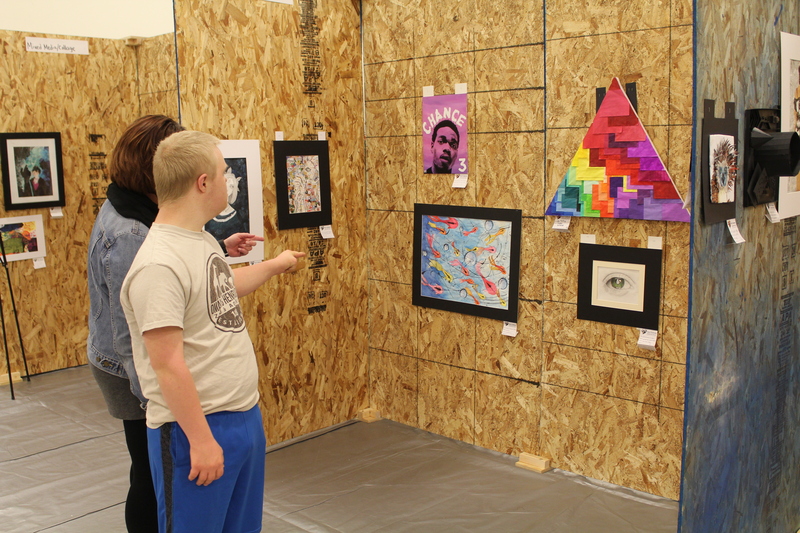 On Wednesday, April 18th Fort Calhoun will be hosting a conference art show. 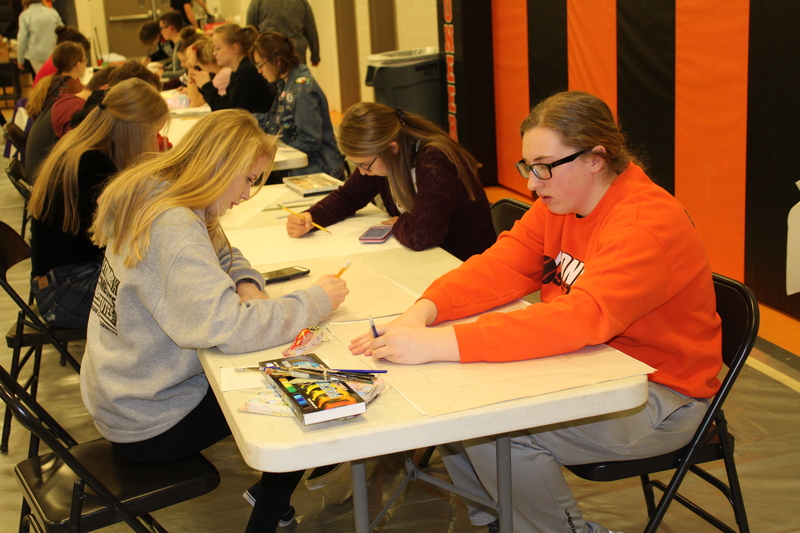 Students from Arlington, DC West, Syracuse, Ashland-Greenwood, Raymond Central, Platteview, and Fort Calhoun will be participating in the event. 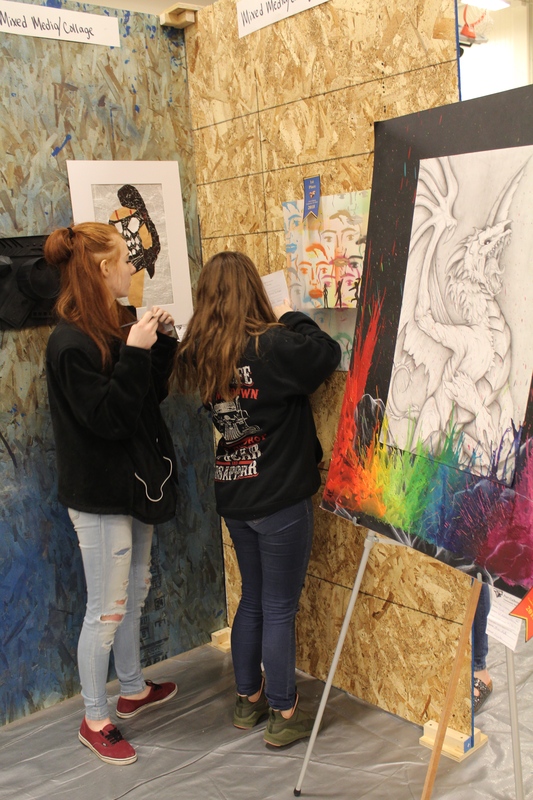 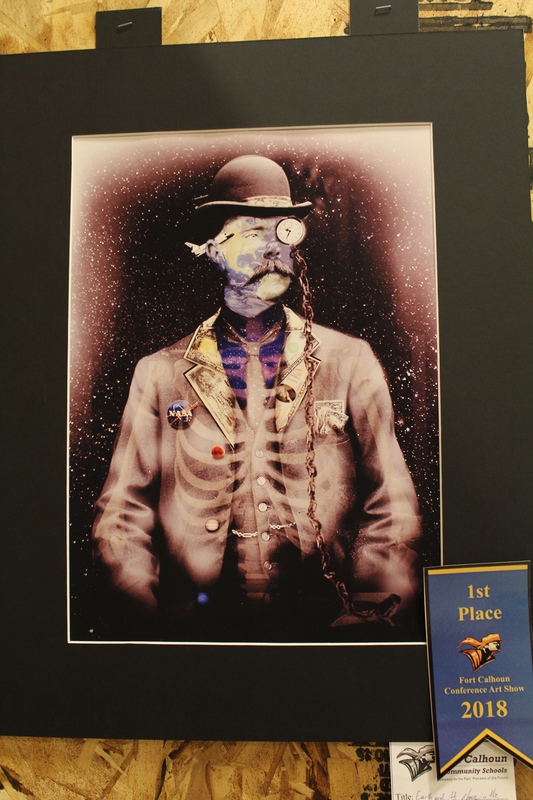 Students will be led through an art activity, and submit artwork into a juried show. 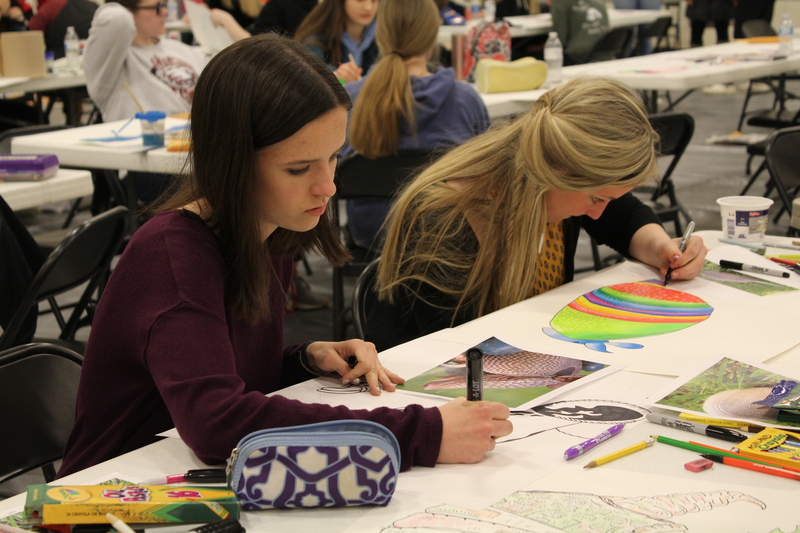 The artwork will be on display in the high school auxiliary gym. 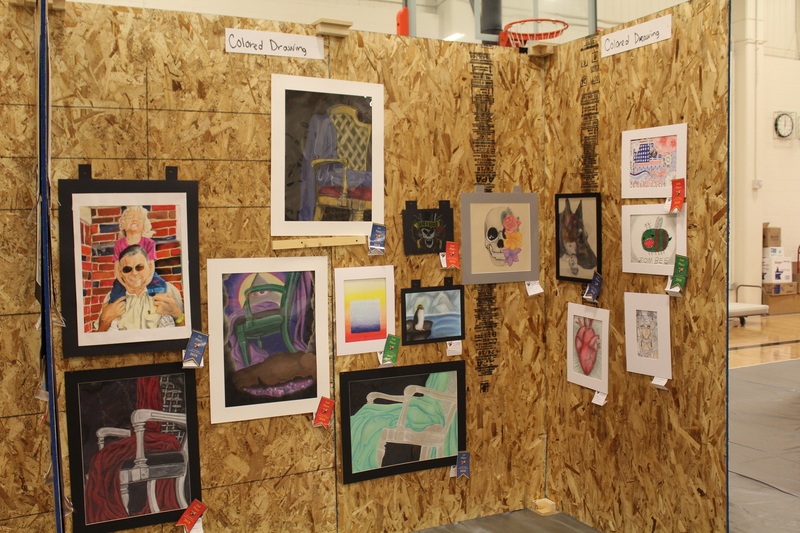 The show is free, and open to the public from 12:30-3:00. 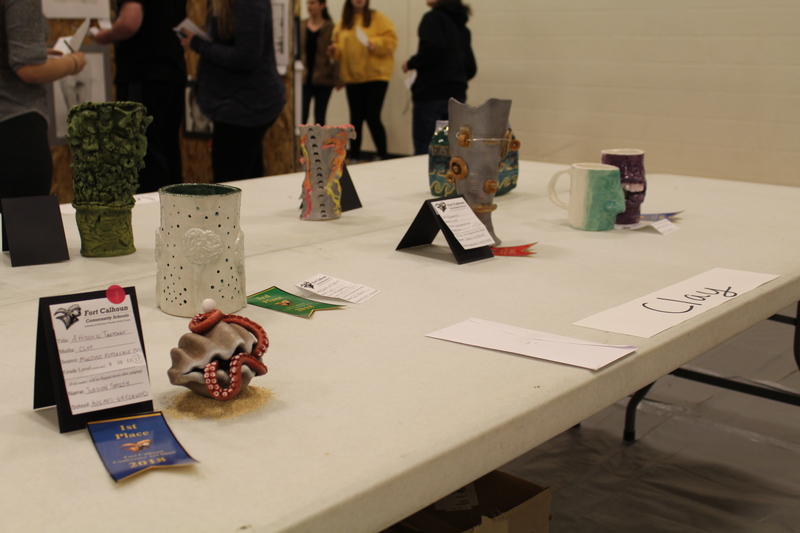 Awards will be presented at 2:45. This entry was posted in Uncategorized on April 9, 2018 by Jennifer Gepson. 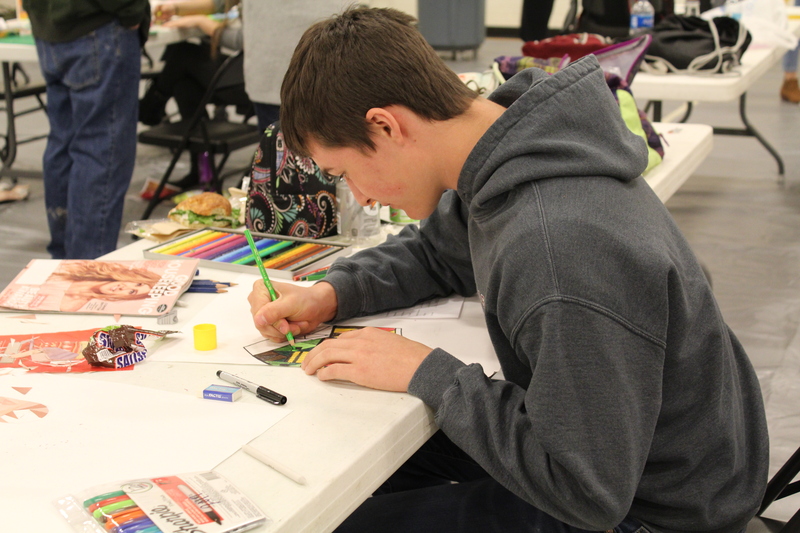 Driver’s Education packets are available in the High School office. 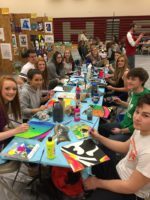 There will be a Parent meeting on Wednesday, April 24 at 5:00 pm.